Copyright ⓒ John's Furniture. All Rights Reserved. * Light gray Italian real leather match. 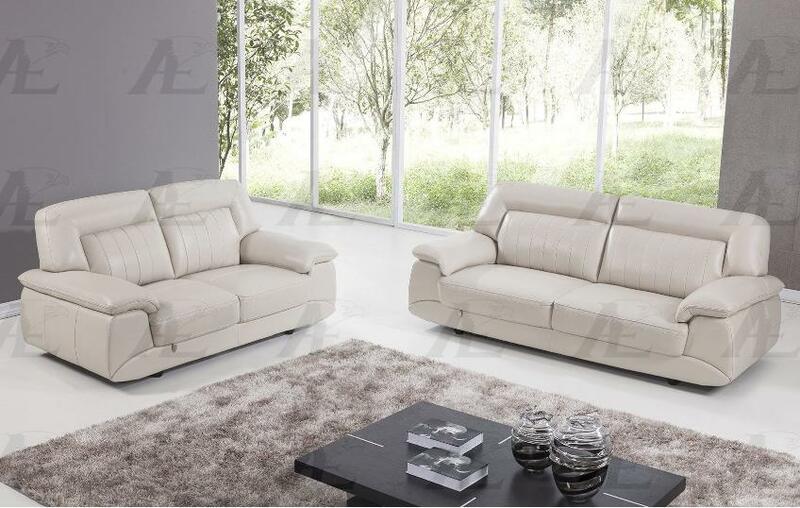 * This is a 2 pieces sofa set including one sofa and loveseat. * Upholstered with high quality Italian leather. * Soft and plush cushions tailored for support and comfort. * Wood finished sofa legs.